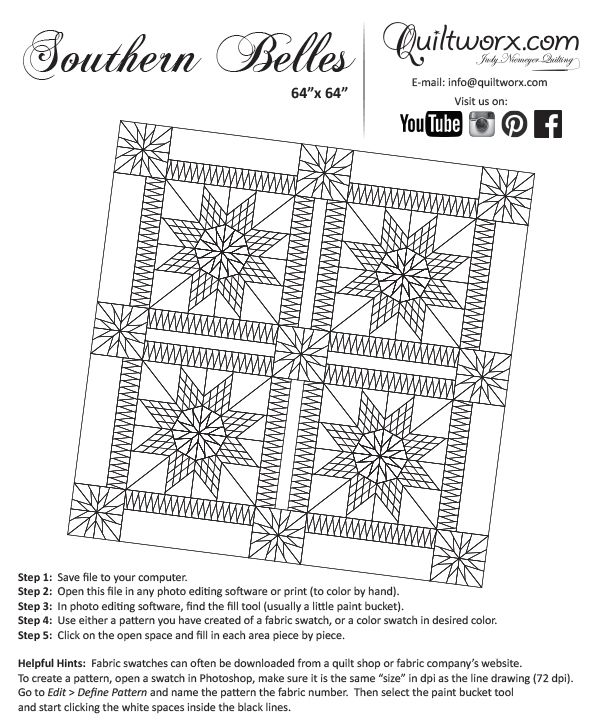 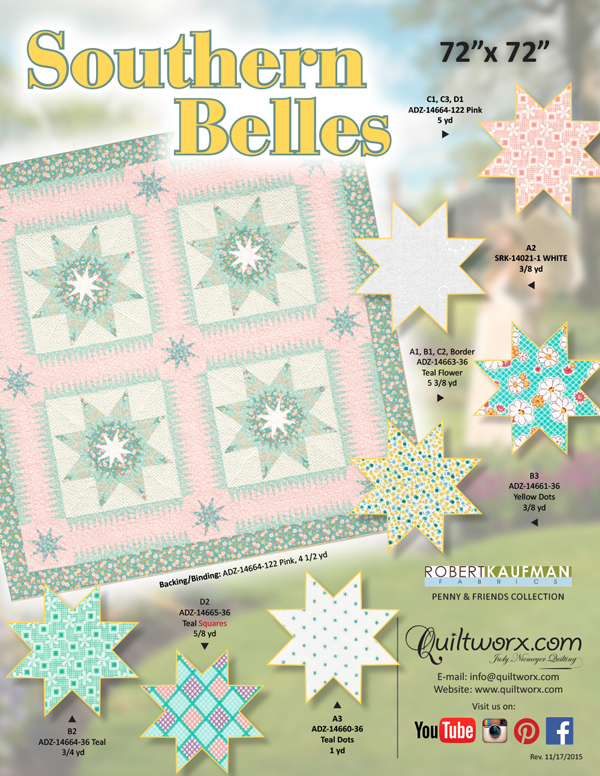 The Southern Belles pattern was designed to feature our newest lone star technique using 1-inch diamonds to complete a 20″ block. 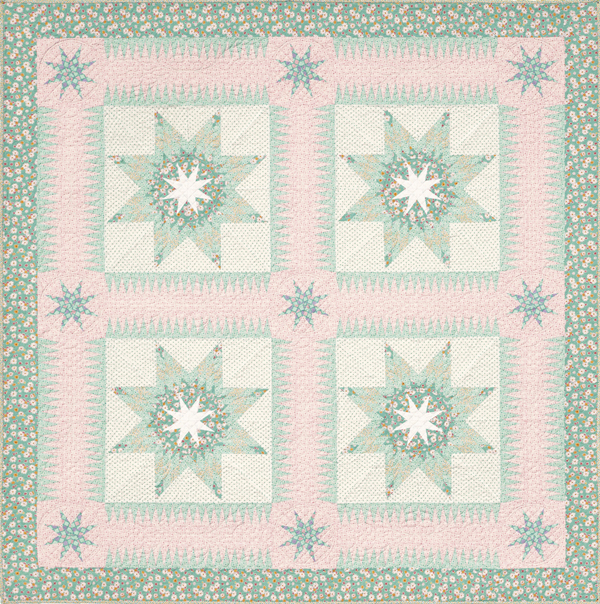 We bordered the blocks with a very traditional antique quilt layout consisting of tiny spiked borders and floating stars. 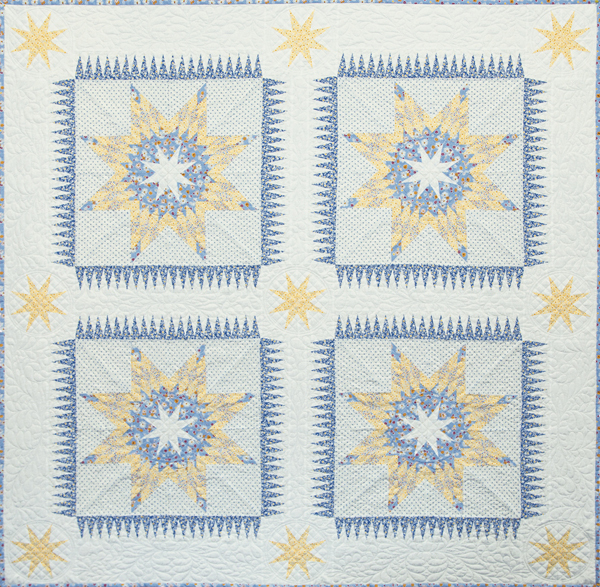 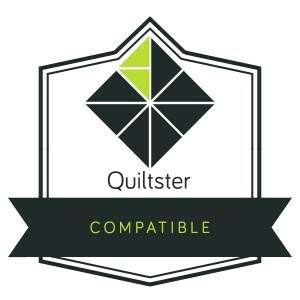 The quilt was designed with two different border options and two different sizes. 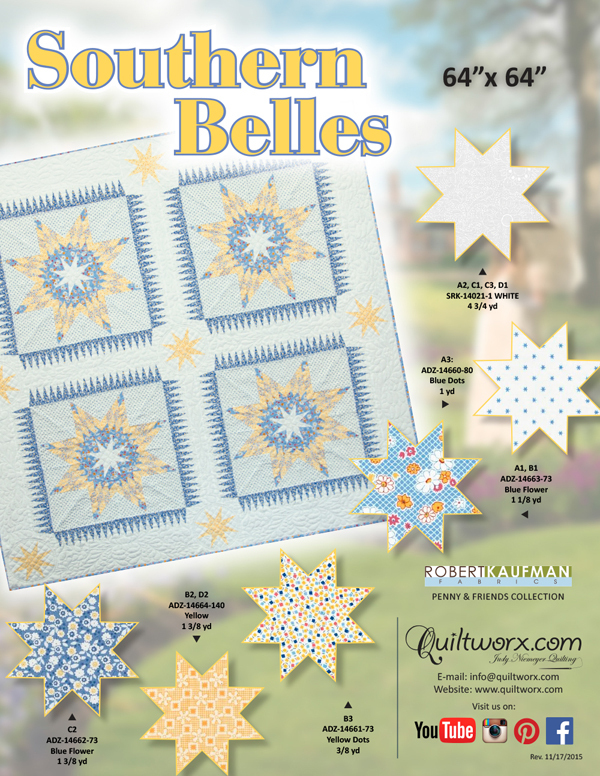 We paired the quilt layout with reproduction fabrics from the 1930s to emphasize the antique/vintage layout of the Southern Belles quilt. 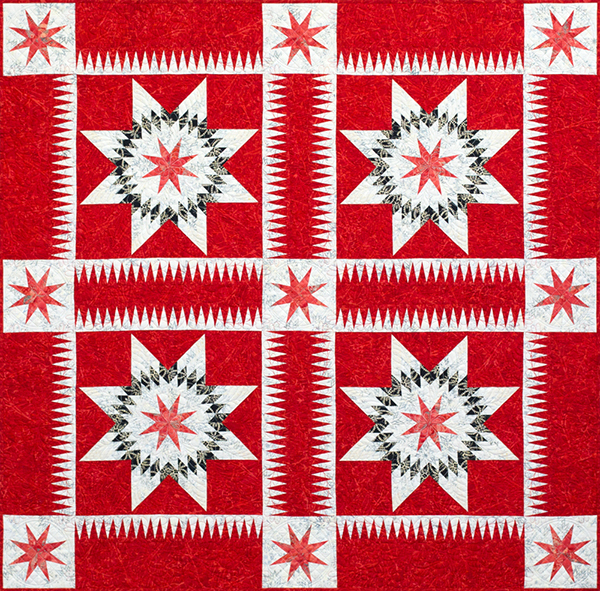 The overall impact is a soft, vintage deep south quilt with no Y-seams, simple construction, only three different techniques, and will be available soon in expanded sizes. 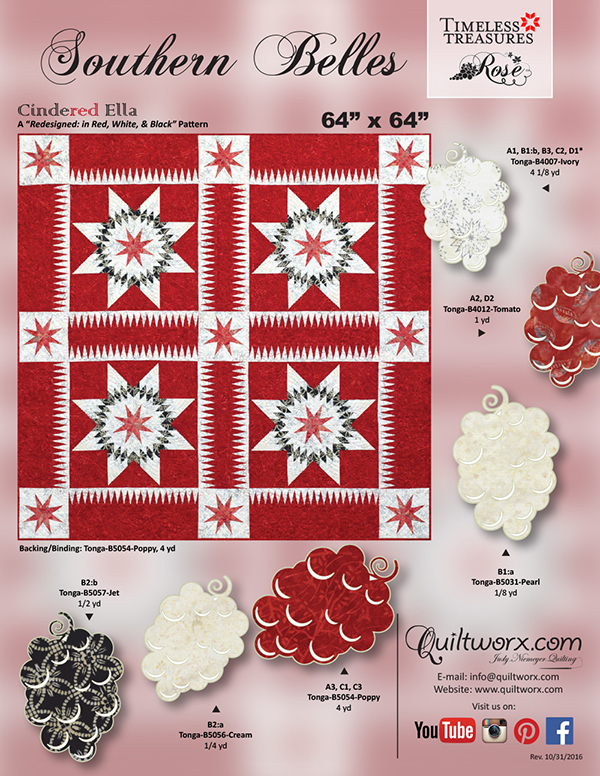 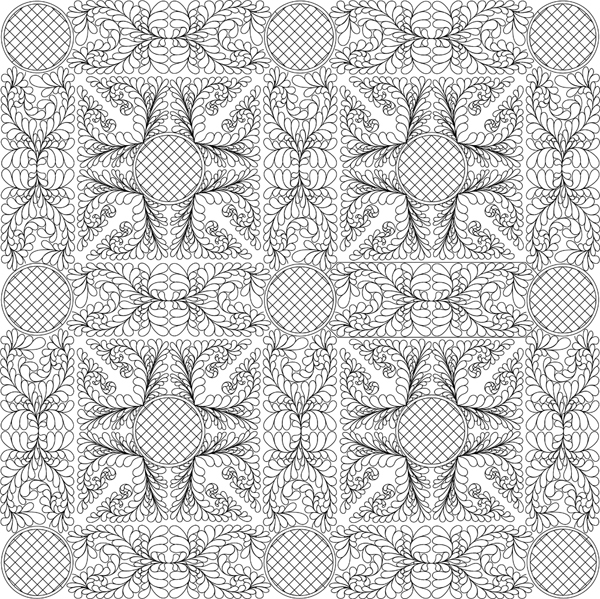 Digitized Quilting Designs are also available for this layout! 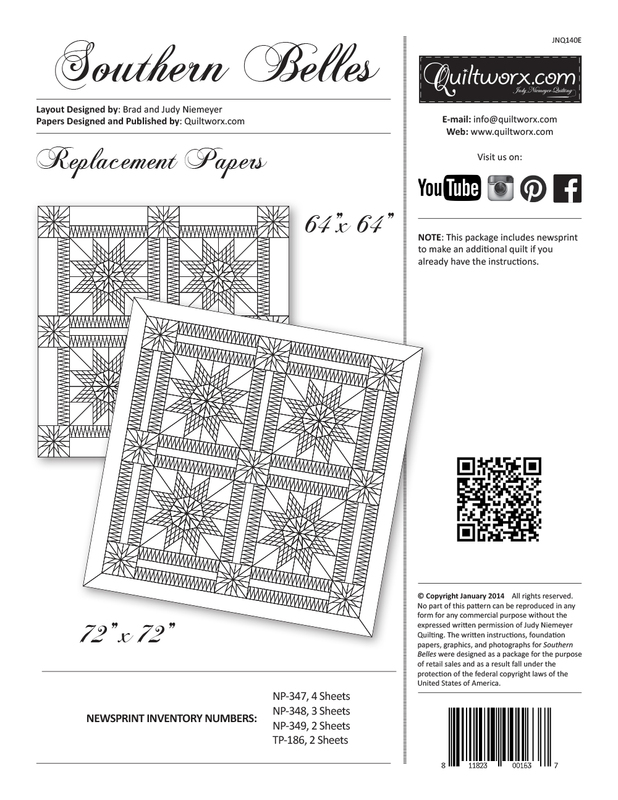 Use it with your favorite line of vintage/reproduction fabrics!